A builders merchant open to both trade and the public, Bradfords offers, kitchens, bathrooms, building supplies and more at multiple stores across the South West of England and beyond. You can also order online for some great DIY deals. 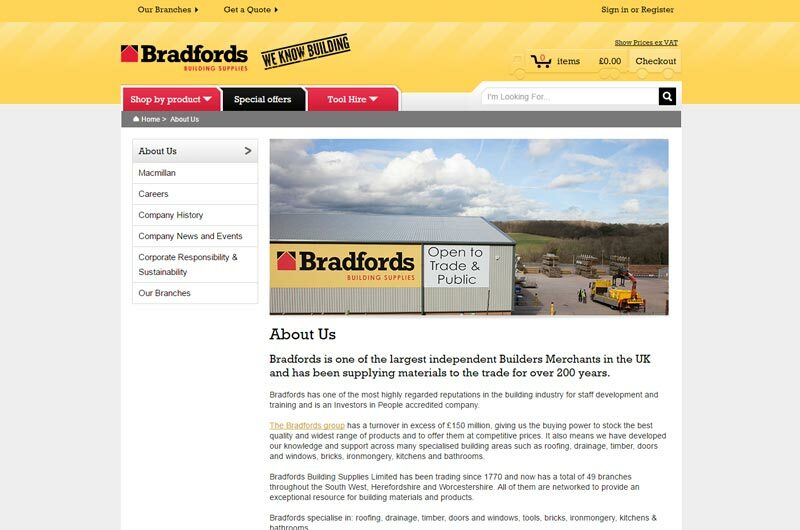 Bradfords is one of the largest independent Builders Merchants in the South West of England and across the UK. They have been supplying materials to the trade for over 200 years. As suppliers of an extensive range of bathrooms and kitchens, they offer regular seasonal deals with big discounts. Visit www.bradfords.co.uk to learn more, buy products online or find more stores near you in the South West of England.